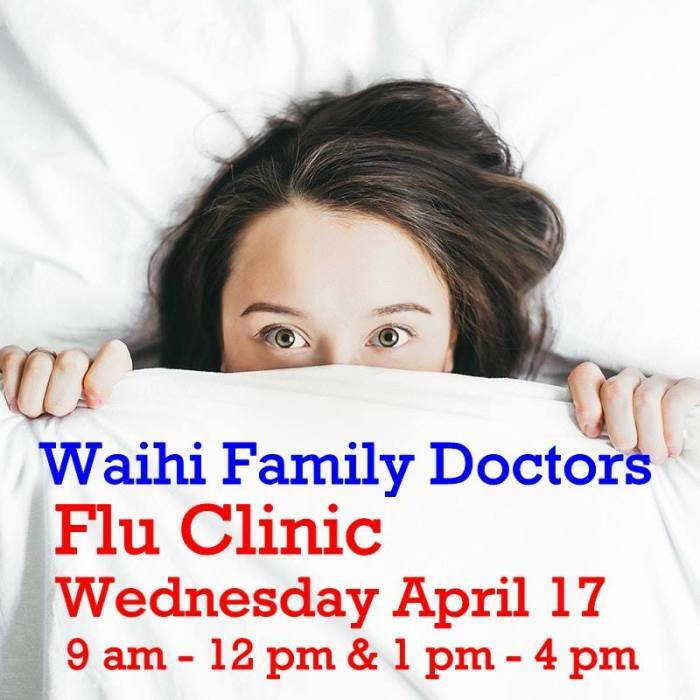 Waihi Family Doctors are running a Flu Clinic at the Waihi Baptist Church on the corner of Kenny and Gilmour Streets this Wednesday, April 17, between 9 am and 12 pm and then between 1 pm and 4 pm. Free to those over 65, pregnant women and those with long term conditions such as asthma, diabetes, heart disease, chronic renal disease or malignancy. For those that don’t qualify for funded vaccination, the cost is $35.00. The best way to prevent flu is to get a flu shot. Vaccination is particularly important for people who are at high risk of serious complications from influenza. Although you can still attend if you haven’t booked, it helps Waihi Family Doctor’s planning if they know you are coming. Enjoy complimentary refreshments (home baking, tea or coffee) while you wait the required 20 minutes after vaccination.